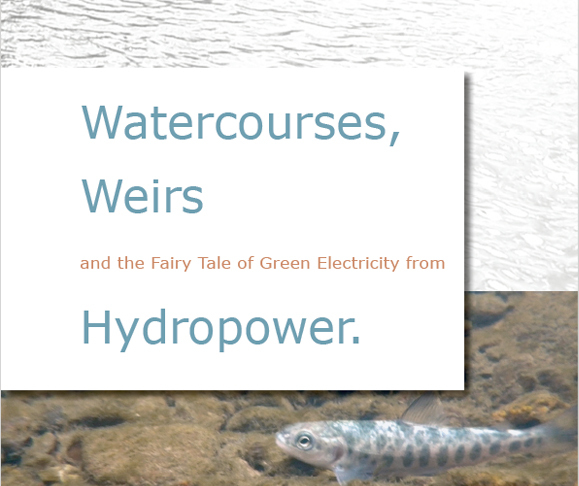 Watercourses, Weirs and the Fairy Tale of Green Electricity from Hydropower. - Der Atlantische Lachs e.V. Watercourses, Weirs and the Fairy Tale of Green Electricity from Hydropower. The association “Der Atlantische Lachs e.V.” would like to stimulate a discussion about the negative impact of hydropower-stations in natural rivers. In this brochure we list up eight arguments why the certification as “green” electricity is misleading. The preservation of natural waters with their biodiversity as an important natural heritage must have highest priority.